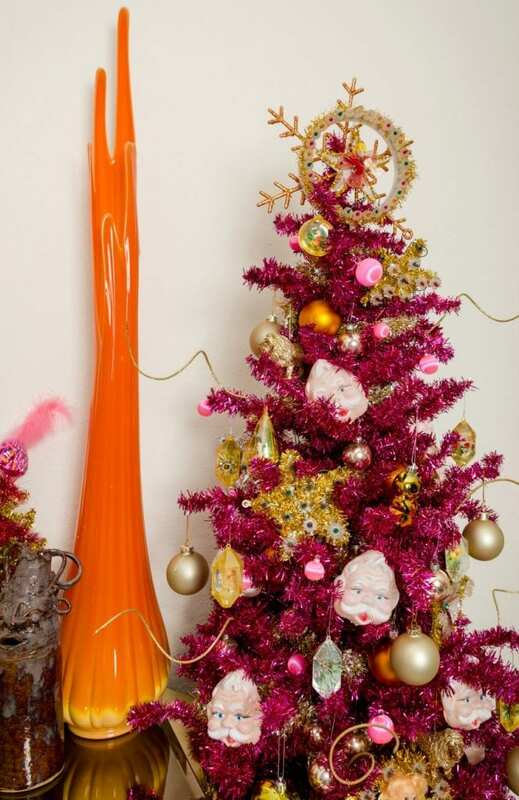 Have you ever dreamed of having your very own pink Christmas tree? What is holding you back? You don’t have to have a 9 foot tall pink Christmas tree like me – you can go table top, pencil or even a wee little 4ft tree. Also, these beauties come in hot or pastel pink. If you are still debating whether or not you are a pink tree kinda household, let me convince you with a few of my favorites. Pastel pink Christmas trees too froufrou for you? 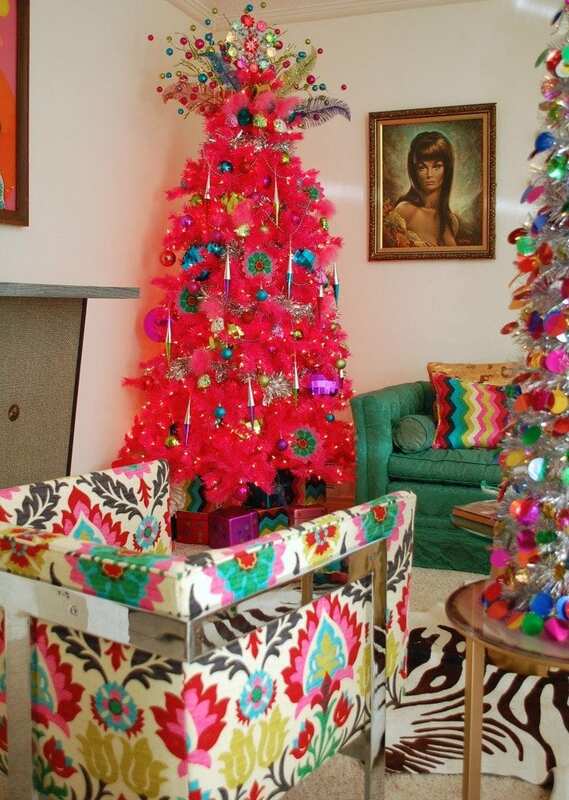 What about a hot pink kitschmas tree? 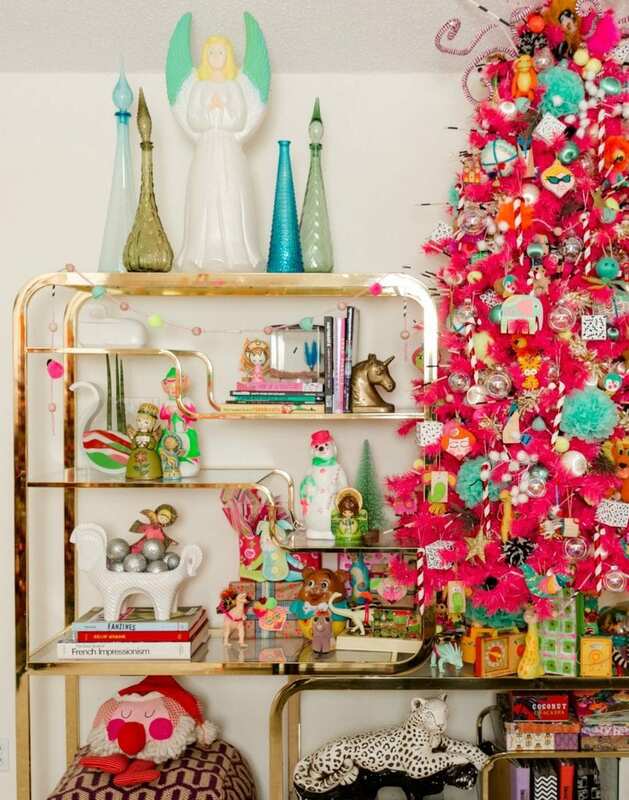 Let’s go ahead and put some flamingoes on that bad boy too because a maximalist Christmas is always a good idea! I’m pretty sure when it comes to holiday decor that Amanda from Aunt Peaches and I were separated at birth. 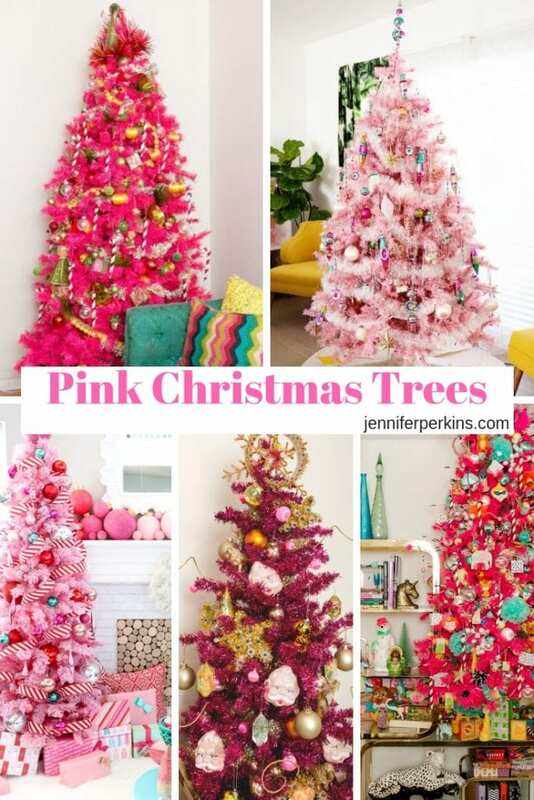 Whether your pink Christmas tree is a stand alone center of attention of nestled in with a colorful Kitschmas tree forest, a pink tree is always a good idea. Perhaps baby step your way into colorful Christmas trees with a smaller tree first. I promise after one season of pinkmas you will be a convert! Talk about mid-century Christmas perfection, Melodrama is the queen. 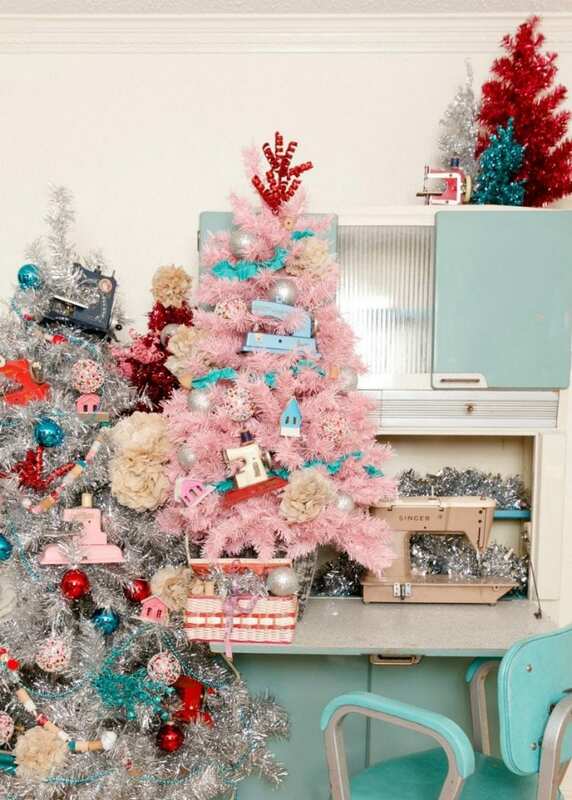 Her furniture and Palm Springs home are the perfect back drop for her fabulous pastel pink Christmas tree dripping in vintage inspired Shiney Brite style ornaments. Even her DIY felt tree skirt is giving me life! Hey girl I’ll be in your neck of the woods this spring, can I come over for a tour? Kidding. Not kidding. This is probably one of my favorite kitschmas scenarios I’ve ever styled. 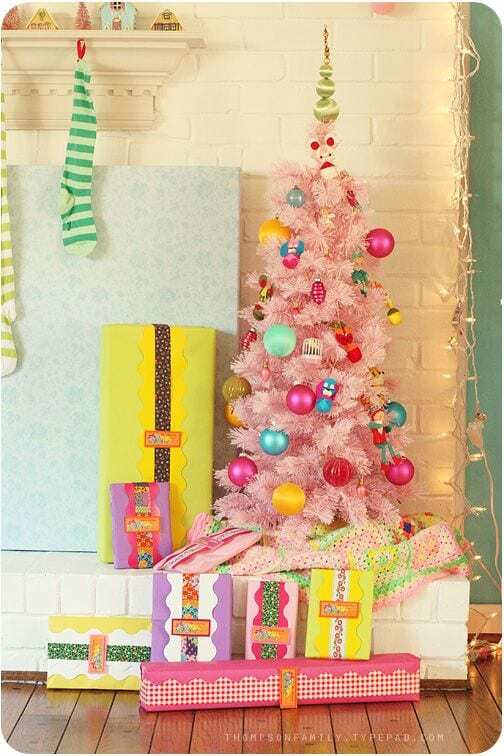 My hot pink Christmas tree was the perfect backdrop for DIY plastic Easter egg garlands, handmade wrapping paper and Jennifer Perkins Art ornaments. Plus my favorite neon colored Christmas blow molds fit right in. Check out 10 Ways to Use Vintage Christmas Blow Molds In Your Holiday Decor for more! There is nothing sweeter than a DIY ice cream ornament and I know because I’ve made about a gazillion of them in my day! The only better is a 9ft pink Christmas tree full of ice cream ornaments! Technically I decorated this tree for National Ice Cream Day in July, but come on it would be perfect for Christmas too! Who’s hungry now? 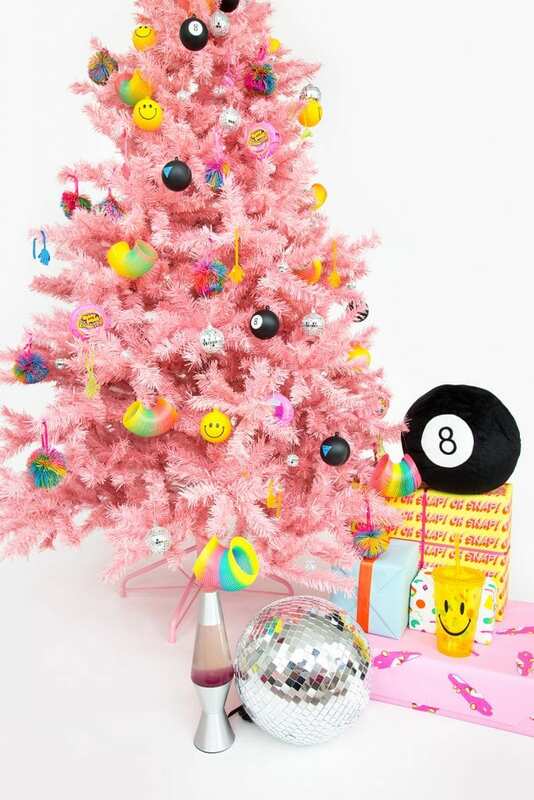 My friend Kara knows how to make everything a bit brighter and merrier including a bubblegum pink Christmas tree. Whether you love a Christmas tree with minimal decor or dripping in ornaments a pink tree can handle both beautifully. I just wanna live in this picture don’t you? 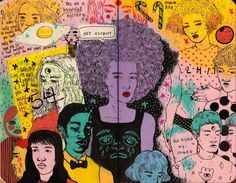 Pop over to A Kailo Chic Life for more about her tree! P.S. Did you see the Autumn Themed Christmas Trees we decorated? 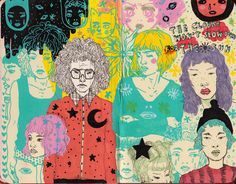 This was the year I was slightly obsessed with the color combination of red, white, yellow, sage green and hot pink. Honestly looking at this picture I’m still kinda obsessed. 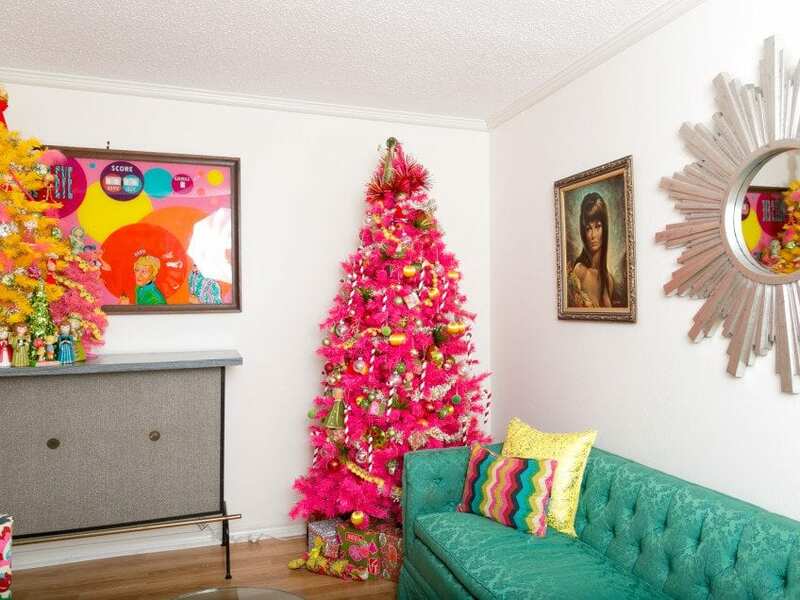 The whole room got that special Jennifer Perkins kitschmas makeover with a retro 60’s vibe. 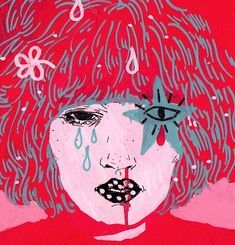 Pop over to Very Merry Neon Pink Christmas to see more. I don’t sew much, but I can decorate a mean Christmas tree with a sewing theme. This little forest of trees is covered in a collection of vintage toy sewing machines, Putz houses and DIY paper flowers made from sewing patterns. 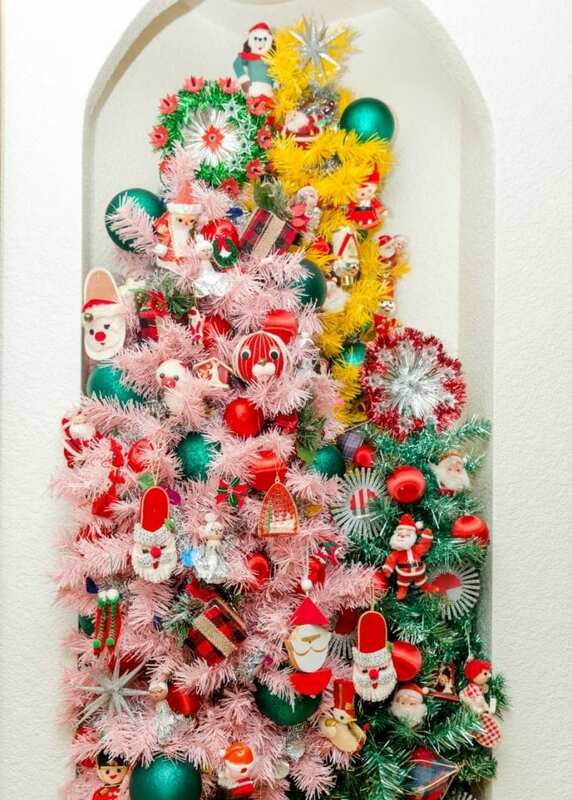 Originally part of a round-up for DIY Network called 10 Totally Outrageous Retro Christmas Trees pop over to my post How to Decorate a Sewing Themed Christmas Tree post for more pictures. I’m not sure what part of this picture I love most – pastel afghan, baby pink Christmas tree or that wrapping paper. Don’t even get me started about the cuteness of those kitschy ornaments or the satin ball ornament tree topper. 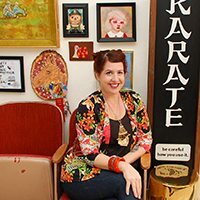 Danielle Thompson has a magical eye for vintage kitsch! 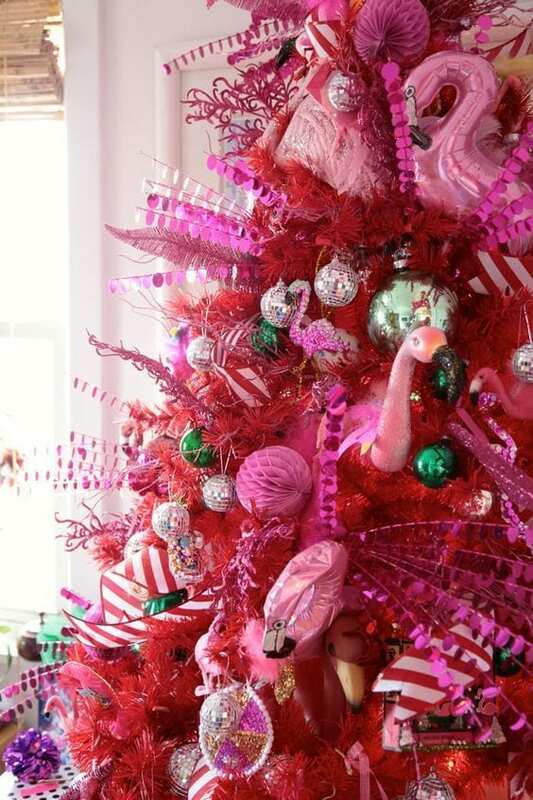 This was one of my first pink Christmas trees – ahhh how special. In hindsight my tree topper makes this hot pink tree look like a Vegas showgirl (that’s a good thing). See more over on the Treetopia blog in my post Not All Pink Trees Are Created Equal. 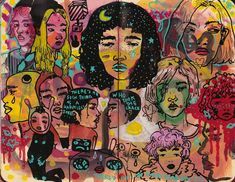 Everything Awww Sam creates is colorful and fun. 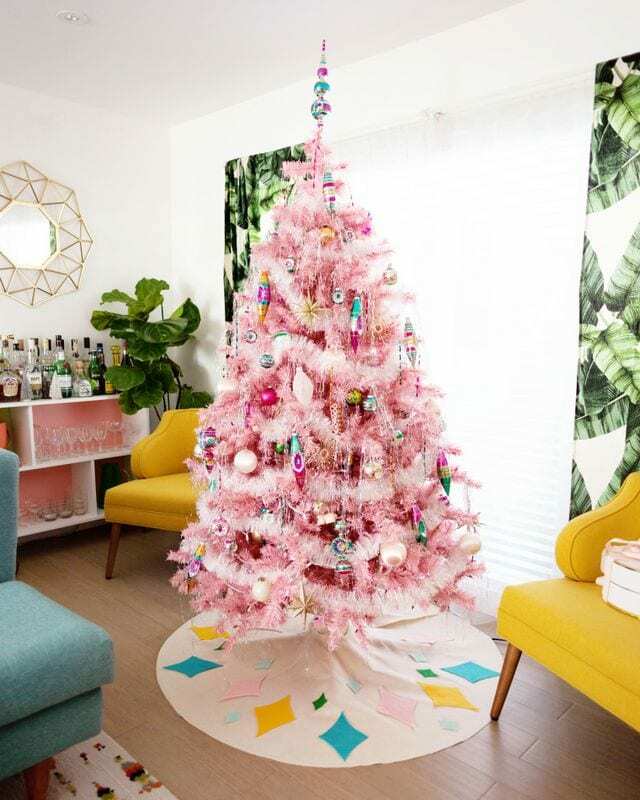 Her 90’s Throwback Pink Christmas Tree is too! Slinkies, smiley faces, Magic 8 Balls and more. Which ornament resonates with you the most my children of the 90’s? I gotta say that wrapping paper is making my heart go pitter patter! Does magenta count as a pink tree? I think it does. Somewhere between red and pink lives the mysterious magenta Christmas tree. Probably one of the first trees I ever owned this tree has known many styles and themes. The year this picture was taken I covered it with vintage Jewel Brite ornaments, plastic Santa doll faces and vintage Christmas tree toppers. Oh wait is that a sequin covered jungle animal I see? Ya it is! 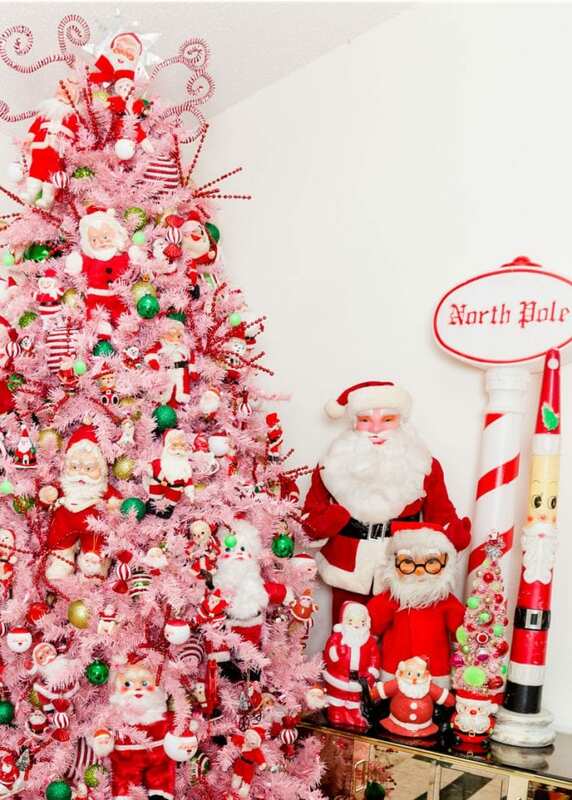 Move Over Green – Pink Christmas Trees Are Here And Fabulous! So which one is your favorite? 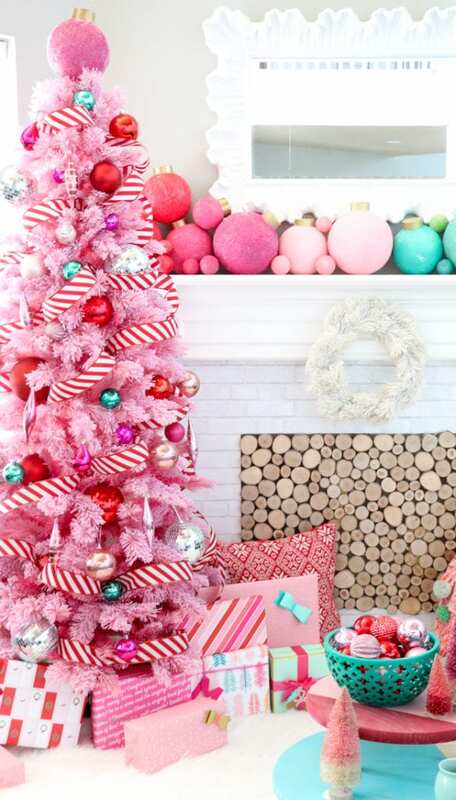 Are you on team hot pink or pastel pink Christmas tree? Don’t forget magenta! It’s a hard choice I know, that is why I strongly suggest having one (or more) of each. I do! Posted November 16, 2018 & filed under Christmas, Holidays, Uncategorized. Wow, I am seriously loving the color! How can anyone have a bad day when seeing all that gorgeous color in their living room.